Where do the blinds move when a player is eliminated in a tournament? - Casino Answers! Casino Answers » Poker » Tournaments » Where do the blinds move when a player is eliminated in a tournament? When you get deep into a tournament, the blinds can get quite large and they can be the difference between elimination and staying on. The deeper you get, the more likely someone is to be eliminated. A lot of people have asked what happens to the blinds when someone is eliminated. What if the person who was eliminated is due for the blinds in the next round? What happens then? Depending on where the person was sitting, a few different things can happen. Those different scenarios are listed below. If the player is UTG (under the gun), the blinds will not be affected by the player’s elimination. If the big blind busts out, the button moves to the player who posted the small blind. The player to the left of the button posts posts the big blind, and there is no small blind. On the next hand, the button moves to the empty seat where the player who busted was sitting, and the small blind and big blind are posted like normal. If the small blind busts out, the button moves to the empty seat and blinds are posted like normal. If any other player in the tournament is eliminated, it should not affect the way blinds are posted. If a player is moved into a dead button seat between hands, he will get to play his next hand as the cutoff. This doesn’t affect play much as the lack of the small blind at this point in the tournament is unlikely to change anyone’s strategy. When you get deep in a tournament, players generally know which hands they are going to play and which ones they aren’t. It doesn’t really have anything to do with what the blinds are. The loss of a position might help some people get involved earlier in the hand, but that’s purely hypothetical. Tournament poker is far different than cash game poker and requires a different set of skills and strategies. As the tournament moves on and the blinds get bigger, they can become more valuable to steal. However, the risk of doing this too much is no longer just a loss of money but an actual elimination and the possibility of missing out on the money completely. Playing tournaments can be a lot of fun, but it is definitely a grind. Depending on the size, they can go on for several hours so you need to be disciplined when playing one of these. While every elimination brings you closer to the money, you shouldn’t necessarily be worried about that and instead be concentrated on your own stack and how many big blinds you have left before elimination. Playing smart with your money and being aware of the blind raises is a big part of succeeding here and you need to know what you are getting into. There are many great poker rooms online that offer freeplay tournaments where you can get your bearings and possibly win some real money. 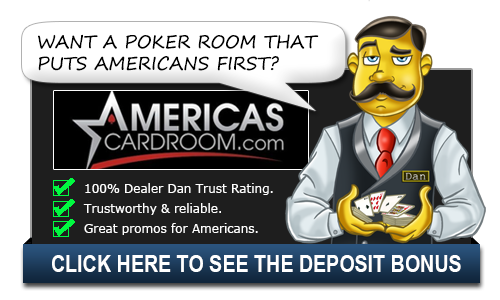 Be sure to check one out if you are interested in playing tournament poker.